The average cost of memory care in Bristol County is $6,052 per month. This is higher than the national median of $4,650. Cheaper nearby regions include Providence County with an average starting cost of $5,741. To help you with your search, browse the 7 reviews below for memory care facilities in Bristol County. On average, consumers rate memory care in Bristol County 4.7 out of 5 stars. Better rated regions include Providence County with an average rating of 4.8 out of 5 stars. Caring.com has helped thousands of families find high-quality senior care. To speak with one of our Family Advisors about memory care options and costs in Bristol County, call (855) 863-8283. An estimated 130,000 residents in Massachusetts have Alzheimer's disease, and this number is expected to grow to 150,000 by 2025, an increase of 15.4 percent. Bristol County, Massachusetts has a population of 561,483 residents, and 16.7 percent of them are 65 or over. For residents who have Alzheimer's disease or dementia in Bristol County, there are nine memory care facilities to choose from. In all of Massachusetts, including Bristol County, memory care facilities are known as Dementia Special Care Units (DSCUs). Special Care Residences, or SLRs, may be part of some assisted living facilities in Bristol County that are designed specifically for residents with dementia, Huntington's disease or other memory impairments. Since Bristol County is part of New England, the area experiences four distinct seasons each year. Spring, summer and fall are considered to be the most comfortable and suitable for outdoor activities, including supervised walks on the grounds of memory care facilities. The average high in July is 83 degrees, and the area features beautiful foliage in the fall. Winters may be challenging for memory care residents in Bristol County, as the area receives about 42 inches of snow each year. The cost of living in Bristol County is relatively affordable -- on a cost of living index where 100 is the national average, Bristol County sits at 118, which is much less than the state average of 139. Housing is the biggest factor in the cost of living difference, although it is one of the more affordable places to live in Massachusetts, as housing costs are at 158 on the same index, whereas the state average is 210. Crime rate is an important consideration for families searching for memory care for their loved ones in Bristol County. On a scale of one (low crime) to 100 (high crime), this region of Massachusetts falls at 43.9 for violent crime and 42.2 for property crime. These numbers are both higher than the overall state and national averages and higher than the crime rates in the nearby Providence-Warwick Metro area in Rhode Island. Families may want to inquire about security measures at memory care facilities in this area. Massachusetts is considered to be moderately tax friendly towards retirees. Income from Social Security and public pension funds are fully tax exempt, but other forms of retirement income are taxed at the state rate of 5.1 percent. These include private pensions and income from a 401k, IRA or other retirement savings account. Memory Care costs in Bristol County start around $6,052 per month on average, while the nationwide average cost of memory care is $4,799 per month. It’s important to note that memory care rates in Bristol County and the surrounding suburbs can vary widely based on factors such as location, the level of care needed, apartment size and the types of amenities offered at each community. Bristol County and the surrounding area are home to numerous government agencies and non-profit organizations offering help for seniors searching for or currently residing in an assisted living community. These organizations can also provide assistance in a number of other eldercare services such as geriatric care management, elder law advice, estate planning, finding home care and health and wellness programs. To see a list of free memory care resources in Bristol County, please visit our Assisted Living in Massachusetts page. 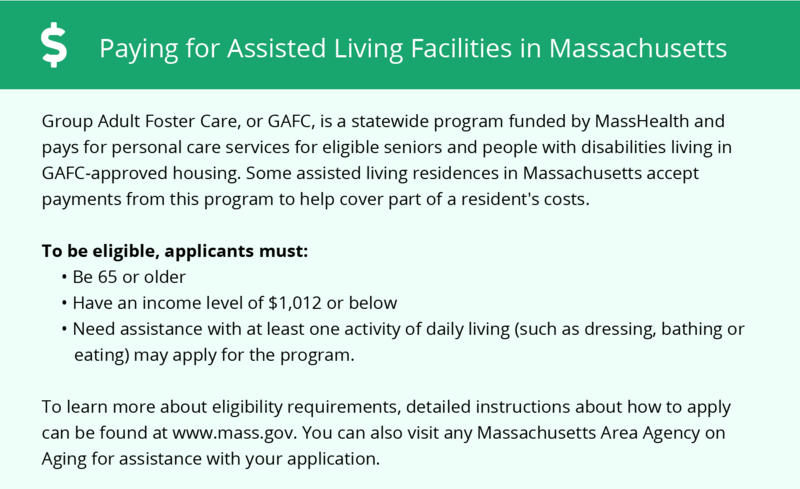 Bristol County-area assisted living communities must adhere to the comprehensive set of state laws and regulations that all assisted living communities in Massachusetts are required to follow. 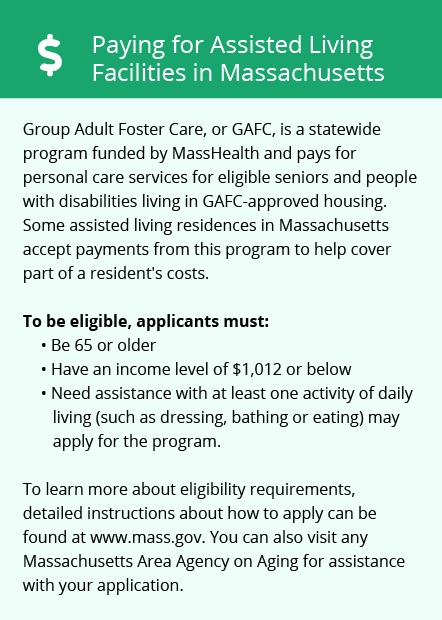 Visit our Memory Care in Massachusetts page for more information about these laws.